Abu Dhabi Media and UFC, the world’s premier mixed martial arts organisation, have announced a new broadcast partnership to provide access to all live UFC events and non-live programming as part of a multi-year agreement. The first live event will air this Sunday with UFC 236: Holloway vs. Poirier 2 on Abu Dhabi Sports 4. 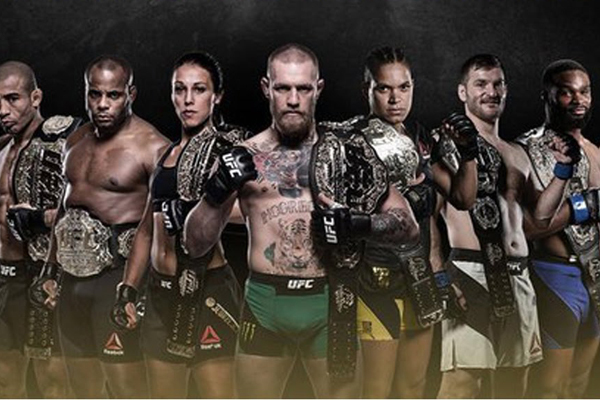 Live UFC events will begin by being broadcasted by Abu Dhabi Sports 4. However, Abu Dhabi Media can today also confirm the launch of a localized OTT service and mobile app in the region, said a statement from Abu Dhabi Media. This platform will be a digital subscription service which offers customers online access to all live UFC events and a library with hundreds of hours of content that will be available in the Arabic language, it stated. "UFC has a very passionate fan base across the UAE and the whole MENA region," remarked Noura bint Mohammed Al Kaabi, Minister of Culture and Knowledge Development and Chair of Abu Dhabi Media. "We are delighted to bring the UFC back to Abu Dhabi Media and we are excited to share their content with our viewers," she stated. Two championship belts will be on the line this weekend as, in the main event, current featherweight champion Max Holloway steps up and takes on No.3 ranked lightweight Dustin Poirier for the interim lightweight title. The co-main event will feature No.4 ranked middleweight Kelvin Gastelum as he faces one of UFC’s most prominent rising stars, No. 5 ranked Adesanya for the interim middleweight belt. "The Mena region is extremely important to UFC, and we are thrilled to begin this partnership with Abu Dhabi Media to bring our fans new and localised content," said David Shaw, UFC Senior Vice President, International and Content.